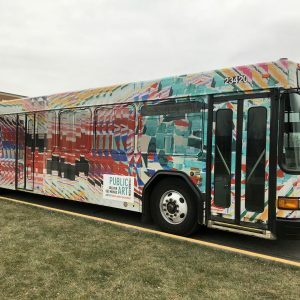 Greater Des Moines Public Art Foundation was proud to partner with the Des Moines Area Regional Transit (DART) Authority to unveil the sixth art bus design by Jordan J. Weber. 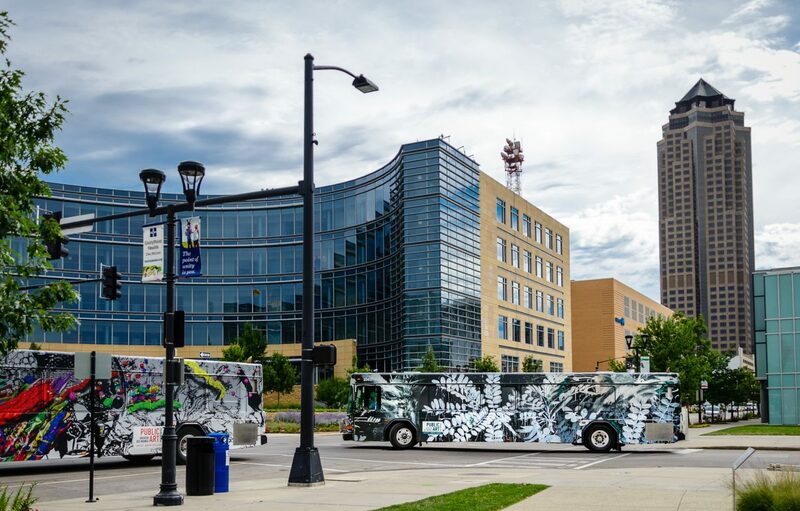 The public unveiling event was in conjunction with the opening of the 2017 Des Moines Arts Festival on June 23 in Western Gateway Park. 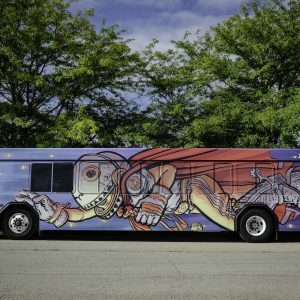 The bus was exhibited on Locust Street through the remainder of the Arts Festival. 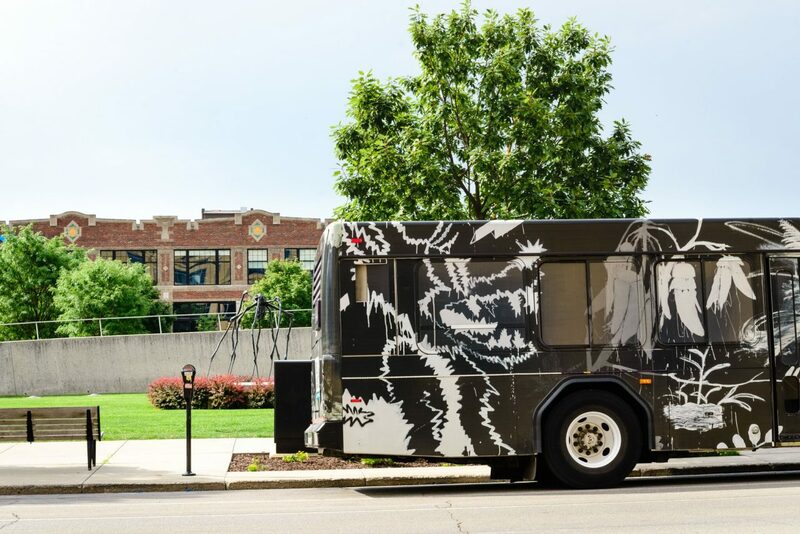 left to right: 5th bus design by Brent Holland and 6th bus design by Jordan Weber travel thousands of miles throughout the metropolitan area. 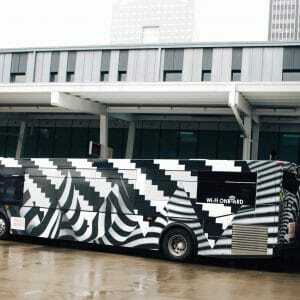 Following the unveiling, the bus to travel into communities throughout Greater Des Moines. The communities include Ankeny, Altoona, Pleasant Hill, Des Moines, Grimes, Windsor Heights, West Des Moines, Clive, Urbandale and Johnston. 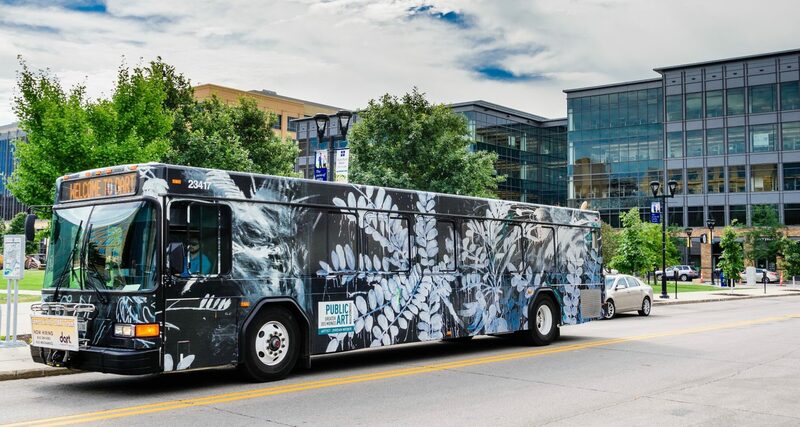 Based on the DART schedule, the bus travels approximately 27,000 miles per year or 2,250 miles per month. Greater Des Moines Public Art Foundation proudly partner with the Des Moines Area Regional Transit Authority to unveil the sixth art bus in conjunction with the opening of the 2017 Des Moines Arts Festival. 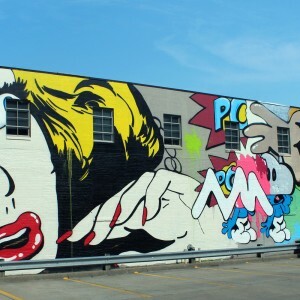 The Public Art Foundation commissioned Des Moines artist Jordan Weber to create the design.